On a sunny afternoon, Norman “Finn” Findley stands beneath a canopy of shiny solar pa nels that covers a parking lot adjacent to what will be Atlanta’s new football stadium. Findley is CEO of the startup Quest Renewables, and this project is one of their most expansive undertakings to date. It comprises two sets of canopies that measure about 130 feet by 250 feet each. Solar canopies are high ground-clearance structures designed for solar panels, but they also function as carports by providing shade for vehicles parked beneath them. Quest Renewables’ technology allows for about 90 percent of the canopy construction to take place on the ground. Then, cranes hoist the solar panels up in the air to mount them atop the company’s specially engineered trusses and members. The total system will produce 617.5 kilowatts of power for each hour of sunlight. When fully operational, the system will generate enough electricity to power nine home games per season. For Findley, this show-and-tell at the stadium is all in a day’s work. This particular day will be filled with meetings. Some are planned — there’s the staff meeting, a new employee orientation, and an investor call — but others come up unexpectedly, such as an impromptu meeting with another investor who is touring the Georgia Institute of Technology’s Advanced Technology Development Center (ATDC), the startup incubator that’s home to Quest Renewables’ operations. Straight away, Findley goes into presentation mode, giving his 30-second “elevator pitch” to the visitor, explaining as succinctly as possible what his company does and how it creates value for its customers. “We manufacture racking systems that hold solar panels up off the ground for solar commercial installations at lower cost and in a shorter time frame,” Findley said, before going into a deeper conversation with the investor. Planned or unplanned, these opportunities are all part of the pattern in the life of a startup CEO, said Findley, a former Coca-Cola executive who left the beverage giant in 2016 to focus on Quest Renewables full time. And while each new day is different, Findley pointed out, he begins and ends each one the same way. Quest Renewables makes systems that hold solar panels up off the ground, allowing for parking beneath. The total system being installed here will produce 617.5 kilowatts of power for each hour of sunlight. Photo credit: Rob Felt. Although Findley has always had an entrepreneurial mindset, he joined The Coca-Cola Company in 1996 and held several managerial positions in sales and marketing. Going the corporate route before venturing into the startup world was part of a long-term career strategy. Over time, his entrepreneurial interest would grow, and in 2013, a friend introduced him to Joseph Goodman, who at the time was a senior research engineer at the Georgia Tech Research Institute, Georgia Tech’s applied research and development organization. The year after that initial meeting, Findley, along with Beau Baldock and Will Arnold, founded Quest Renewables, licensing a patent from Georgia Tech based on research that Goodman and others at the Institute had conducted. On Quest Renewables’ team, Goodman is chief technology officer, Baldock is senior vice president of supply chain, and Arnold is senior vice president of operations. As the founding team members began to build the company, they went through Georgia Tech’s VentureLab, the Institute’s startup and incubation support program for Tech faculty and students who want to create companies based on their research. After graduating from VentureLab, Quest Renewables was accepted into ATDC’s Signature portfolio. ATDC, a sister incubation program to VentureLab, works with entrepreneurs across Georgia (no Georgia Tech affiliation required) who have a proven business model and customers, and are most likely to succeed long term in the marketplace. Left: James Keane, a system specialist at Quest Renewables, reviews the schematics for a solar canopy design. Right: Norman “Finn” Findley (far right) holds one of his weekly Monday meetings with members of his staff to go over projects and other ongoing company initiatives. Photo credit: Rob Felt. The Georgia Tech research that got Findley’s attention led to a foundation design and support structure that takes up less physical space and uses less than half the steel found in traditional solar canopy construction. Because of the design and the weight it can support, the canopy can hold more solar panels than other canopies without having to expand the support structure’s footprint. The goal behind the initial research and development was to see if there was a way to increase cost efficiencies in the non-­photovoltaic part of solar panel installations, Findley said. That meant focusing on the labor, support structure, and electrical costs. The U.S. Department of Energy’s SunShot Initiative funded the original research. The design is a modular space frame, which makes it easier to construct and allows crews to erect the canopies in half the time it takes to build competing structures. “We’re extremely efficient from the standpoint that we can put them up faster, we can put more of them up per acre — so we can generate more power over a given parking lot — and we can put them up generally at a lower cost to the customer,” Findley said. Since the solar canopy structures are elevated, they create functional parking lots in addition to energy. “We can build on surface parking lots and elevated parking decks, which allows us to produce the energy close to where the power is needed, which puts less stress on the electrical grid because you don’t have to produce it in south Georgia, for example, and then try to pipe it all the way up here,” Findley said. While the energy industry doesn’t track the solar canopy sector specifically, the solar energy business is growing and accounted for 39 percent of all new electric capacity that was added to the U.S. electric grid in 2016, according to the Solar Energy Industries Association (SEIA), a trade group based in Washington, D.C. The industry attracted $23 billion in investments in 2016, up from about $18.3 billion in 2015, according to SEIA/GTM Research’s U.S. Solar Market Report and the National Renewable Energy Laboratory. Under Findley’s leadership, Quest Renewables tripled its revenue between 2014 and 2015, repeating that feat again in 2016. The company projects it will quadruple revenue in 2017. The company remains linked to Georgia Tech through its work with T. Russell Gentry, an associate professor, structural engineer, and building materials researcher in the School of Architecture. Partnering with Gentry, Quest Renewables presents challenges to his students, who are tasked with coming up with ways to improve the canopy’s efficiency. “The question we asked them is, do you see where we could be better and more efficient in our use of materials,” said James Keane, Quest Renewables’ system specialist and a 2013 Georgia Tech graduate with a bachelor’s degree in architecture. The technology has garnered the company some national attention. In the spring of 2016, then-U.S. Energy Secretary Ernest Moniz visited Georgia Tech, noting the Institute’s role as a leader in developing innovative energy solutions in the Southeast and meeting with a select group of ATDC companies in the energy space, including Quest Renewables. That same year, the Georgia Research Alliance, which seeds and funds startup companies in the state, announced it was making an investment in Quest Renewables via its GRA Venture Fund, which was established to finance high-potential companies spinning out of Georgia’s universities. Lauren Terris, operations manager at Quest Renewables, runs with Norman “Finn” Findley, the company’s CEO. The two regularly run on and around the Georgia Tech campus while discussing corporate strategies and initiatives. Photo credit: Rob Felt. The stadium initiative is the largest to date for Quest Renewables, though the company has other projects in its portfolio, including a canopy array at Agnes Scott College in Decatur, Georgia, and projects in other states including Maryland, Oregon, California, and Maine. One recently completed project is with Standard Solar, a Rockville, Maryland-based company that specializes in the development and financing of solar electric systems. The company hired Quest Renewables to design and put together a canopy for a Rockville-area parking deck. Parking decks are more challenging than surface lots for solar canopy projects, said C.J. Colavito, Standard Solar’s director of engineering. That’s because the canopy has to be integrated within and anchored to an existing structure and requires a customized engineering approach, he said. Accolades such as this come with a hiccup that most startups would love to have: demand for services — so much so that the company is scaling back its growth. Findley wants each customer to have a quality experience. “We created such a compelling product that we have demand that exceeds our ability to deliver a quality customer experience, so we’ve been ratcheting back our growth to make sure that every customer we work with is delighted,” he said. This approach, he said, fits in with the company’s long-term goal regarding its place and impact on the industry. The Advanced Technology Development Center (ATDC), Georgia’s technology incubator, is launching a new initiative for entrepreneurs focused on retail-related technology. The new program — which comes as the retailing sector faces a torrent of change in consumer behavior — is being funded by a $1 million gift from the Mookerji Foundation to the Georgia Tech Foundation. The new initiative was announced at the 2017 ATDC Startup Showcase. The Georgia Tech Foundation, in turn, has earmarked the new funds for the formation of the ATDC Retail Program. 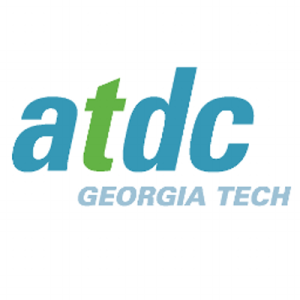 Founded in 1980, ATDC is a program of the Enterprise Innovation Institute, the Georgia Institute of Technology’s chief economic development arm. ATDC is one of the longest running university-affiliated incubators in the United States. The Atlanta-based Mookerji Foundation is dedicated to nurturing and enabling entrepreneurs in metro Atlanta. The gift will fully fund the retail technology startup initiative for the next five years and support a retail technology expert who will serve as an entrepreneur-in-residence to mentor the startups and offer expertise relating to the field of entrepreneurship. The U.S. retail sector, which is comprised of more than 3.7 million establishments, supports some 42 million jobs with a $2.6 trillion impact on the economy, according to the National Retail Federation (NRF), the industry’s chief trade group. In Georgia, the retail industry supports 1.2 million jobs, includes more than 120,000 establishments, and adds $75.6 billion a year to the Peach State’s economy, NRF data show. “This is a very important segment of the Georgia and national economies and an exciting opportunity for Georgia Tech to make an impact and keep to its economic development mission,” said Maryam Alavi, dean and Stephen P. Zelnak Jr. Chair of Georgia Tech’s Ernest Scheller Jr. College of Business. Alavi and other Scheller officials, as well as representatives of Tech’s Office of Development, collaborated on the effort that led to the Mookerji Foundation’s gift. The initiative is the second of its kind for ATDC. In March 2015, Worldpay US, a global payments technology and services company, made a $1 million gift to Georgia Tech, which used the funds to launch a FinTech program at ATDC. Since its launch, that effort has reached more than 350 entrepreneurs across the state of Georgia, including 17 FinTech startups in the ATDC Signature and ATDC Accelerate portfolios. To date, those companies in both Signature and Accelerate have raised more than $34 million in outside funding. The Georgia Institute of Technology is one of the world’s premier research universities. Georgia Tech is a national and international leader in scientific and technological research and education and is the nation’s leading producer of engineers as well as a leading producer of female and minority engineering Ph.D. graduates. Ranked among the top public universities by U.S. News & World Report, the Institute enrolls more than 23,000 students within its six colleges. For additional information, visit gatech.edu. The Advanced Technology Development Center (ATDC), a program of the Georgia Institute of Technology, is the state of Georgia’s technology startup incubator. Founded in 1980 by the Georgia General Assembly, which funds it each year, ATDC’s mission is to work with entrepreneurs in Georgia to help them learn, launch, scale, and succeed in the creation of viable, disruptive technology companies. Since its founding, ATDC has grown to become one of the longest running and most successful university-affiliated incubators in the United States, with its graduate startup companies raising nearly $3 billion in investment financing and generating more than $12 billion in revenue in the state of Georgia. For more information, visit atdc.org. Representatives from Siemens opened its Data Analytics and Applications Center in Georgia Tech’s Technology Square last week, making it the latest global corporation to open an innovation center on or near campus. The center will help transportation providers use big data to improve operations and safety. For example, the Siemens team will work with the City of Atlanta to collect information from the Atlanta Streetcar and analyze data points to make the best use of the fleet. Siemens is the 16th company to open an innovation center in Tech Square. These centers represent a diverse range of industries with a common goal of tapping into the innovation neighborhood’s vibrant network of students, faculty, researchers and startup entrepreneurs. The Data Analytics and Applications Center represents an exciting next step in the longstanding relationship between Georgia Tech and Siemens, said Stephen E. Cross, the Institute’s executive vice president for research. Georgia Tech has partnered on more than 20 projects with Siemens over the past four years in manufacturing, health care and energy. For more than 15 years, the Siemens Foundation has collaborated with the Center for Education Integrating Science, Mathematics and Computing (CEISMC). Activities include improving K-12 science and math education in underserved communities; hosting the Siemens Competition in Math, Science and Technology; and preparing students for the future of manufacturing. Siemens also recruits about 30 Georgia Tech students each year, primarily through 15 technical training programs that lead to direct hire upon completion. The U.S. Army Training and Doctrine Command (TRADOC) presented its Mad Scientist symposium on “Robotics, Artificial Intelligence and Autonomy” at Georgia Tech on March 7 and 8, 2017. More than 100 registered and attended, including representatives from NATO, South Korea and from several other European countries. More than 200 watched the event at any given time online from around the world, and even were participating in live chatrooms during the event. All of the content are posted on the TRADOC G-2 OE Enterprise YouTube page. Are you implementing ways to reach milestones and grow your business? Want to hear from several Savannah business owners who have successfully navigated the journey from local to beyond? Now’s your chance! Join us on Thursday, March 30, when Ruel Joyner, CEO of 24e Design Co., Ted Dennard, president and head beekeeper for Savannah Bee Company, and Stephanie Lindley, CEO of Byrd Cookie Company will share strategies for success, common roadblocks (and how to overcome them), and resources. Participants will learn how to assess their company and industry; determine how their business model translates; investigate target markets; diversify product and service offerings; and use technology to stay effective. Breakfast & networking at 7:30 a.m.; program runs 8-9:30 a.m.
A new mentorship-driven accelerator and venture fund targeting high-tech startups is coming to Atlanta. The national program, called Engage, launched Jan. 12th through a joint announcement from the Georgia Institute of Technology, Atlanta Mayor Kasim Reed, and the CEOs of 10 leading global corporations. Georgia Tech’s Tech Square will be home to a new accelerator and venture fund called Engage. The Engage accelerator is open to startups across the country, with a focus placed on mentoring and market access strategies. Applications will be available in early 2017, with programming scheduled to begin in the spring. Up to 48 startups could go through the program in the first three years. The program will be supported through a venture fund, and 10 corporations have committed $15 million to date. In addition, the corporations will actively support the accelerator through mentoring, education, and collaboration. Engage will offer programming and other services through a contract with the Advanced Technology Development Center (ATDC), which was established at Georgia Tech by Georgia lawmakers in 1980 to launch and build technology companies. The primary objective of the mentoring is to help startups with their go-to-market strategy. Engage will also help the startups connect with the resources and right people in the large companies. G.P. 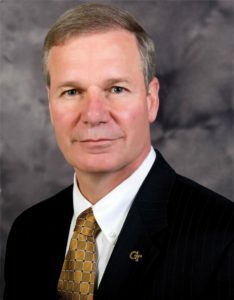 “Bud” Peterson is the eleventh president of Georgia Tech. Georgia Tech is recognized as a national leader in promoting entrepreneurial opportunities and economic development. Tech Square, for example, is home to more than a dozen corporate innovation centers. Engage will provide additional commercialization opportunities for Georgia Tech students, faculty, and research. Engage is a key initiative of the Atlanta Committee for Progress (ACP), a coalition that includes the mayor of Atlanta, leading CEOs, and university presidents. The ACP focuses on critical issues facing the city; one of its key priorities is furthering Atlanta’s development as a leading technology hub with increased access to funding for startups. In addition to getting direct support from the founding companies, Engage entrepreneurs will be connected to more than 30 companies that are ACP members. The 10 founding companies contributing capital, expertise, time, and resources in support of Engage include AT&T, Chick-fil-A, Cox Enterprises, Delta Air Lines, Georgia-Pacific, Georgia Power Foundation Inc., Intercontinental Exchange (ICE), Invesco Ltd., The Home Depot, and UPS. Executives from these firms – many of which are Fortune 500 companies – will serve as mentors to the companies receiving financial support from Engage. What makes Engage unique is the interaction of these global companies with the startup ecosystem to help entrepreneurs build companies that will transform their markets. Rather than filling the specific needs of a single large company, Engage startups will benefit from the combined perspective of the founding companies. “The robust level of participation from the city’s leading corporations will help ensure Engage’s success by providing a world-class incubation program for high-potential start-ups,” said Martin L. Flanagan, president and CEO of Invesco and a member of the Atlanta Committee for Progress. Each of the founding companies committed $1.5 million to a venture fund that has been formed to make equity and equity-related investments into companies admitted to Engage. The fund will be managed by Tech Square Ventures. “By combining mentoring from executives of Atlanta’s top companies and experienced entrepreneurs with programming from ATDC, Engage will give entrepreneurs unparalleled market access and connectivity to help them bring their ideas to market,” said Blake Patton, managing partner of Tech Square Ventures. See upcoming schedule and application for the 2017 bootcamp and apply here. Startup Boot Camp is available to Savannah-area founders of technology and product based startups. The program is based on the lean startup model and is designed to lead entrepreneurs through the concept to launch of their product. The interactive program will help entrepreneurs identify and vet their target customers, articulate their value proposition, make financial projections, and prepare them for seeking investment. Participants will also have access to Georgia Tech’s ATDC mentors during the class, which will provide both guidance and connections to resources. Check out the past participants to hear their stories. The courses are designed to be a combination of classroom-style training and workshops to educate and move you forward on your journey. The 12 workshops encompass ATDC’s Entrepreneurs’ Education Series, which prepares entrepreneurs for ascent and learn best practices through interactive classes and workshops. An experienced entrepreneur and ATDC mentor will teach each workshop. The Savannah workshops will be taught by mentors from Savannah and Atlanta. At the end of the bootcamp, participants will pitch at a demo day attended by the public and showcase their company or ideas. The winner of the pitch event will receive $10,000 cash prize from SEDA. February 13: Customer Discover Part 2. Validate target customers. February 21: Business Model Canvas Part 1: How to reach and acquire customers (channels). February 28: Business Model Canvas Part 2 – Complete product roadmap and business model. When Georgia Tech opened Technology Square in 2003, one of the guiding principles was to foster a better connection with the business community. Fast forward to today and evidence of those successful connections can be found in the more than one dozen corporate innovation centers clustered in the area. While these centers represent a diverse range of industries, they all have the common goal of tapping into the area’s culture of collaboration thanks to the vibrant network of students, faculty, researchers and startup entrepreneurs. Georgia Tech President G.P. “Bud” Peterson hosted a roundtable discussion Tuesday morning, September 20, 2016, with a handful of corporate executives from companies that opened innovation centers in Tech Square. The panelists included Tom Gebhardt, chief operating officer of Panasonic Automotive Systems Company of America, whose innovation center opened in 2012, making the company an early adaptor. The program has grown tenfold over the past four years, he said. Gebhardt explained the benefits of working outside a traditional corporate environment. UCB, the global biopharmaceutical company, is one of the newest innovation centers, having just opened the UCB Solution Accelerator this week. Its goal is to drive collaboration between the company and Georgia Tech to develop solutions to help those living with severe diseases. Jeff Wren, head of UCB’s Neurology Patient Value Unit, explained how the centers demonstrate that problems cannot be solved just by the research and development units typically found at a company’s corporate headquarters. The centers do more than just help the companies. They engage with startups, providing them with access to markets and fostering relationships through mentorships, said Blake Patton, a technology entrepreneur and investor who is a managing partner with Tech Square Ventures, a seed and early-stage venture capital fund located in Tech Square. The innovation centers are investors for the startups by becoming customers and partners, and providing platforms to help them to succeed, said Patton, a past general manager of Georgia Tech’s Advanced Technology Development Center, a statewide startup technology business incubator. ATDC’s current general manager, Jennifer Bonnett, moderated the discussion, which included questions from reporters who attended in person and those who watched the event through a live web stream. One reporter asked for examples of products or solutions that came out of the innovation centers. The first innovation created by the Anthem center allowed for what officials call a dynamic video, said Tom Miller, the chief information officer for the Fortune 50 health benefits company. The company previously used a generic video to welcome new members who signed up for health care. Now a personalized video is dynamically generated that brings together attributes of a new client’s family, their situation and their health plan. The video is generated as soon as the client registers. While this information is currently incorporated in a welcome video, it will have additional uses as well, Miller said. Miller said the innovation center has bred a new hope across the whole company, especially as the health care industry undergoes a major transformation. More companies may soon have the same experience. Peterson said the Institute is seeing more growth around Tech Square and is constantly talking with companies about different ways to engage in the area.